Do you really want to give the taxman £495,500? If you like paying tax, then this report isn’t for you. However, if you are looking to legally minimise the amount of tax you pay each year, the read on. Of course, we all have to pay our fair share of taxes. But there’s no reason why you should pay more than your fair share of that tax burden, is there? Unfortunately, paying more than their fair share is precisely what many people do…, often without even realising it. 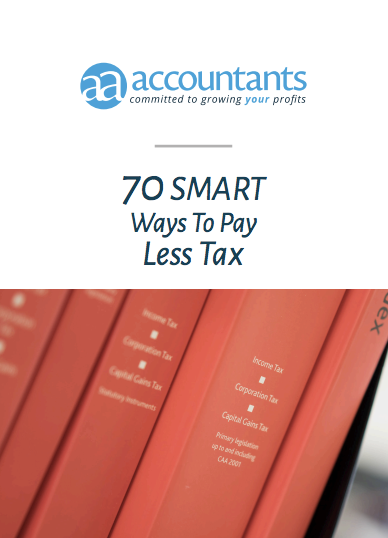 So, because we don’t want you to be one of them, we’ve enclosed, as a gift, a copy of 70 SMART ways to pay less tax – our brand new easy-to-use tax-busting checklist. In just a few pages it reveals 70 powerful ideas that could shave many pounds – perhaps even many thousands of pounds – off your tax bills. Just think, even if you can only shave 5% off your tax bills, if you earn £30,000 a year that tiny 5% saving adds up to an extra £24,675 in cash to spend and enjoy during your lifetime. And if your earnings are much more than £30,000 per annum then your savings could well be disproportionately higher – quite possibly as much as a 50% reduction in the tax you have to pay. Shaz is excellent at what he does. Offering sound business advice and assisting with the implementation of new processes. He is always readily available and willing to go above and beyond to help his clients with his depth of business knowledge no matter what the hour.